We love Frugi clothes and have spent so much time over the last few weeks browsing their new spring and summer ranges. 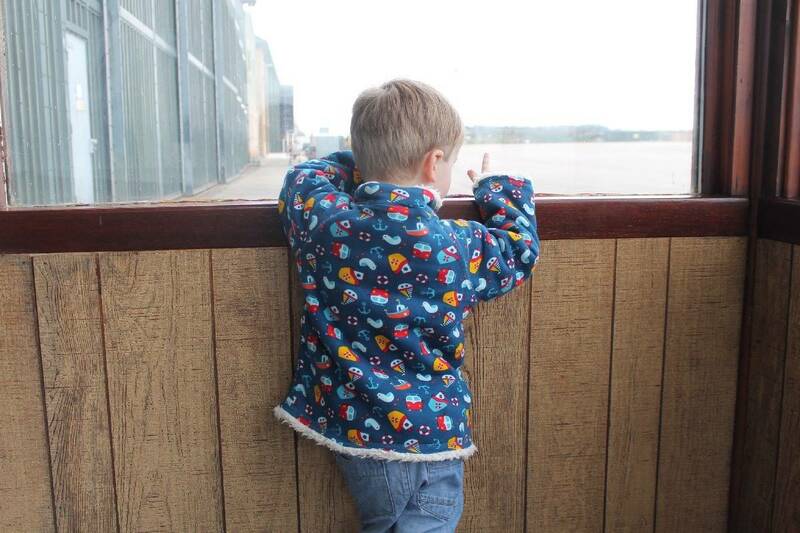 We were sent the Frugi Little Snuggle Fleece to review and I can already see it being a staple in Little Man’s wardrobe over the next few months. 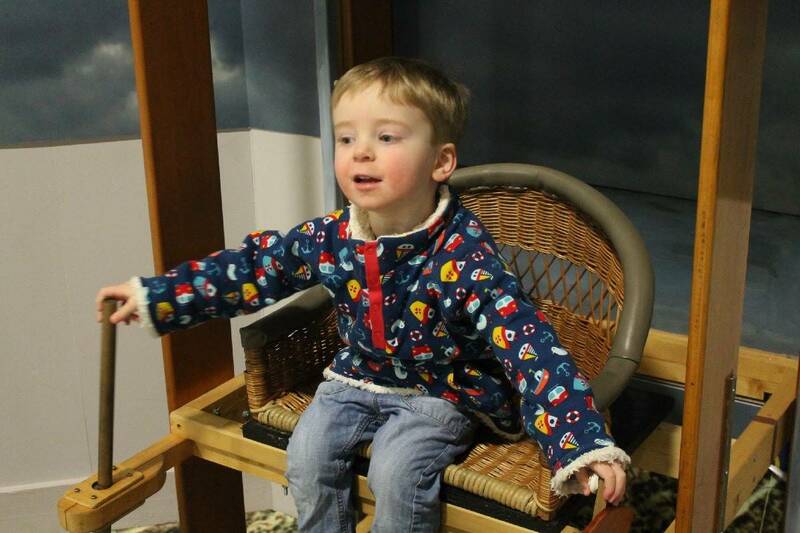 The Frugi Little Snuggle Fleece is so much more than just a jumper. It’s so lovely and thick with a fleece furry lining and a beautiful nautical print all over. It has a popper fastening halfway down the front and a pocket for his hands too. It’s the kind of top you would put on at every single opportunity. 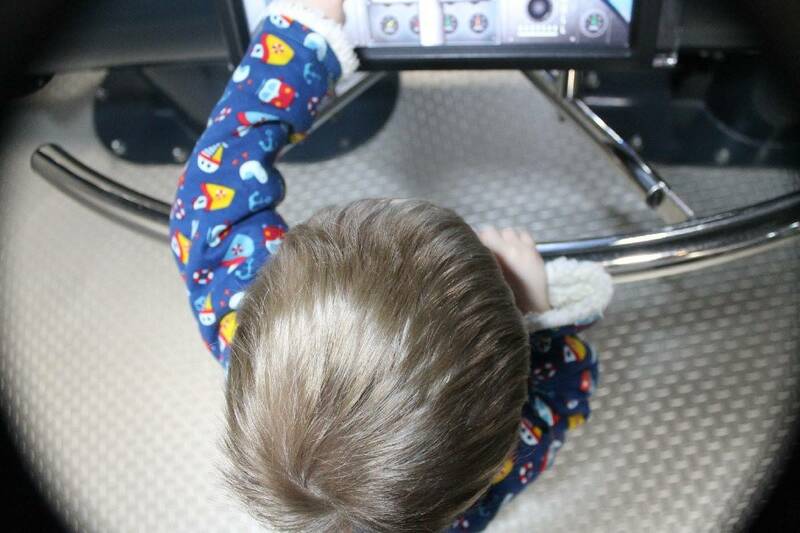 Little Man has been wearing the Frugi Little Snuggle Fleece constantly since it arrived. He wears it instead of a coat on warmer days and I know that soon it will be too warm to wear it on a daily basis and instead he’ll keep it close to hand to throw on after a day in the sun, keeping that summer evening chill away. 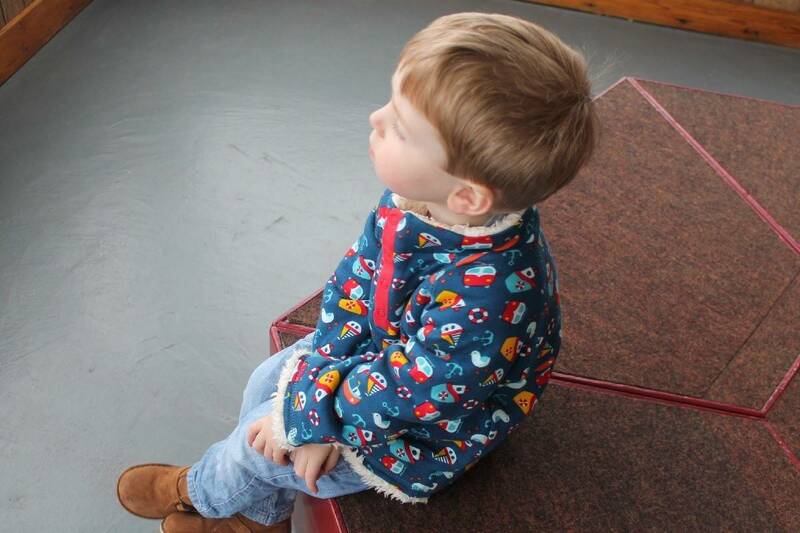 The Frugi Little Snuggle Fleece is the perfect addition to any child’s wardrobe this season. It’s great at the moment as that extra layer, a nice warm jumper to wear instead of a coat but in the warmer months it will be the perfect way to snuggle on a cooler evening or in the car on a long day out. It’s a wardrobe staple and one that Little Man already loves to have. Like all Frugi products, the Frugi Little Snuggle Fleece is made from organic cotton and just couldn’t be softer – or better for his skin. This season all the #FrugiFamily bloggers are reviewing different pieces from the Frugi Spring and Summer collection. 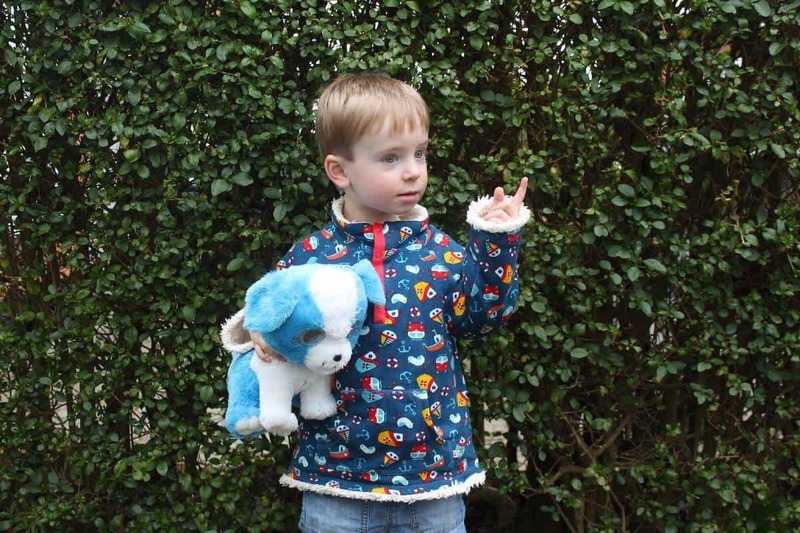 Make sure you visit My Two Mums to see another beautiful Frugi product tried and tested. 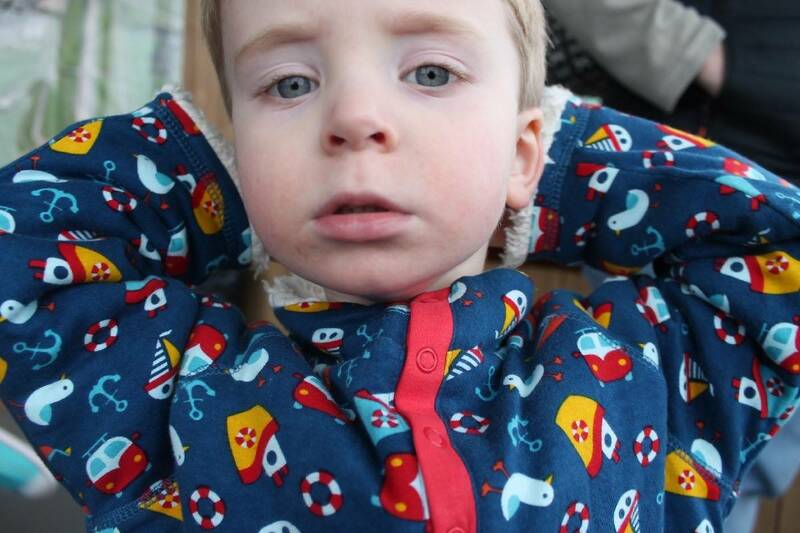 The Frugi Little Snuggle Fleece has an RRP of £30.00 and comes in a choice of two prints. Oh this looks fabulous, really warm and convenient. I love the nautical print too! Super choice. Natty has a spotty snuggle fleece that is a firm fave. Wish they did them in adult sizes! That looks perfect, especially for this cooler weather. Love the print on it, your little one looks adorable! Oh he looks so cute. What a lovely little design. I toyed which choosing this, but M went for a hoody he could zip as he’s quite pleased he can do zips now. This is gorgeous! He looks so warm and snug… We love the print too!